A full text search of all JBC articles is planned to coincide with the online publication of issues in Volume 30. Abstracts and tables of contents will be available for public viewing, with complete articles limited to subscriber login. An online Cumulative Index is available for the Journal of the Biological Photographic Association (JPBA) and the Journal of Biological Photography (JBP). This index includes the publication years 1932 through 1997 and articles in Volumes 1-47 for the JBPA and Volumes 48-66 for the JBP. 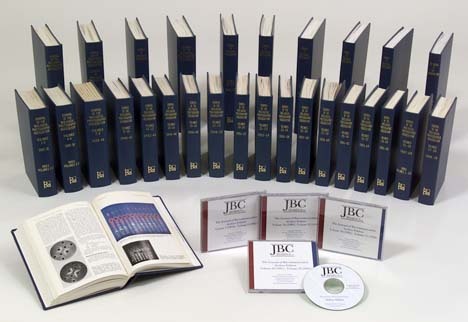 Bound issues of the JBPA and JBP, Volumes 1-67, 1931-1999, including recently incorporated JBP issues of the Journal of Biocommunication, Volumes 27-29, 2000-2003. Also depicted is the available JBC CD-ROM Collection.